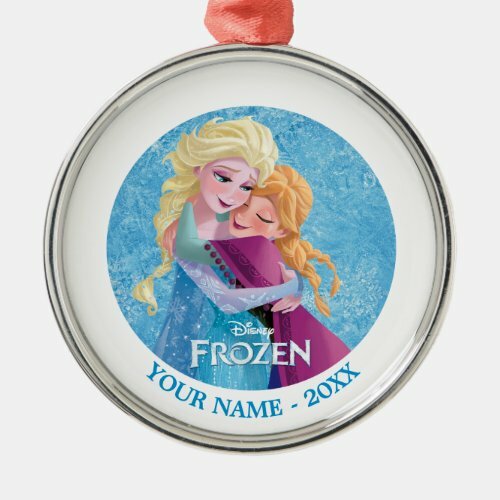 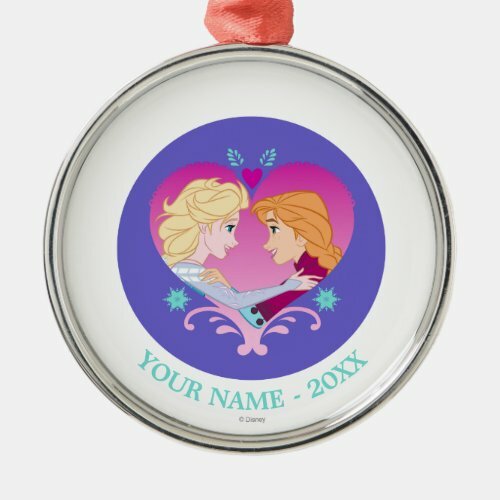 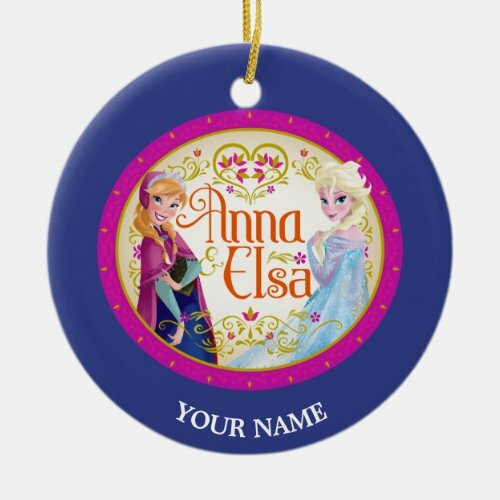 If you have a little daughter or granddaughter (as we do) who loves the Disney movie, Frozen, you might want to consider some Disney Frozen Christmas tree ornaments this year. 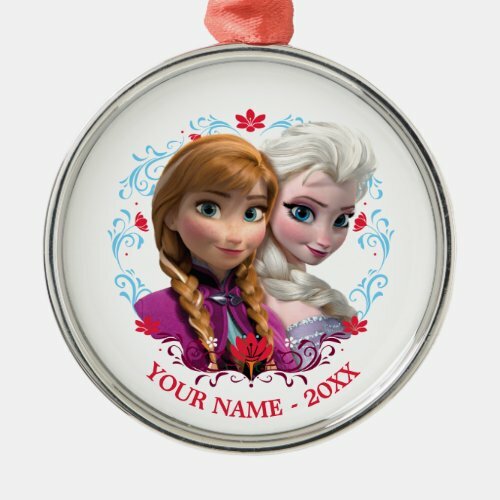 Little girls love this movie! 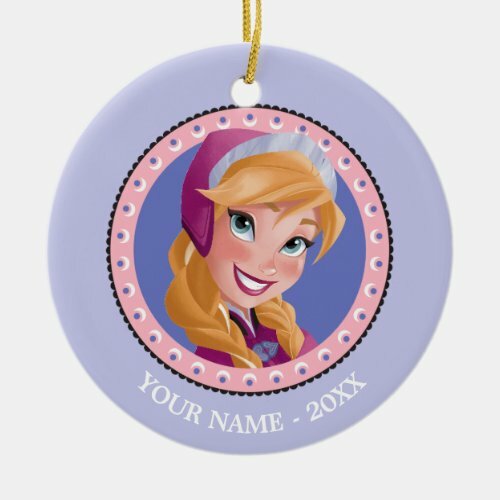 They like to dress up as Anna or Elsa, they like to sing the songs, and they will love the ornaments on their Christmas tree! 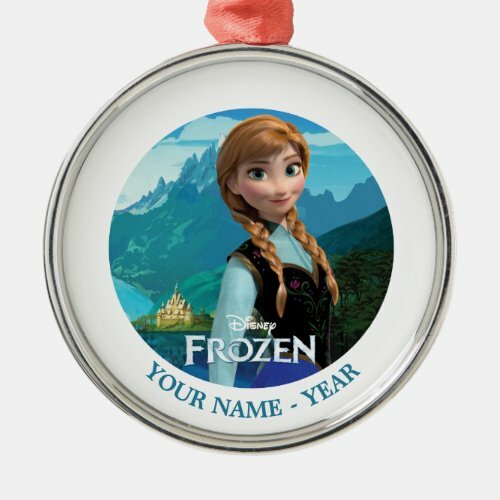 These are wonderful keepsake ornaments that will be treasured from year to year. 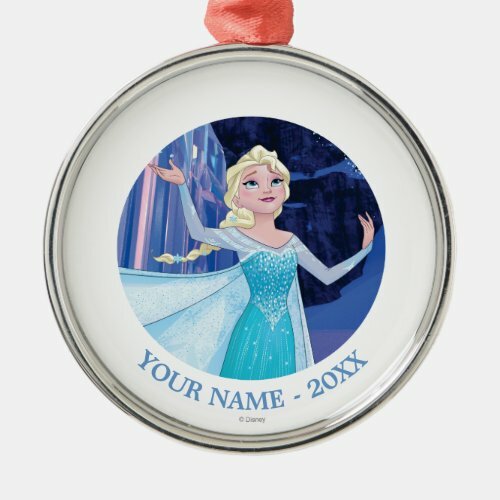 This set contains depictions of Elsa, the Queen of Arendelle. 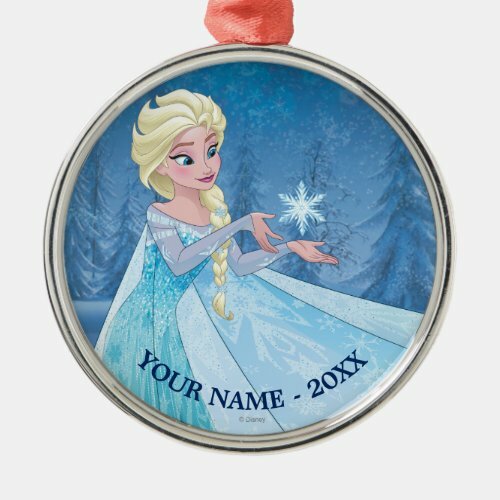 She’s wearing her beautiful icy blue gown in her icy blue winter wonderland. 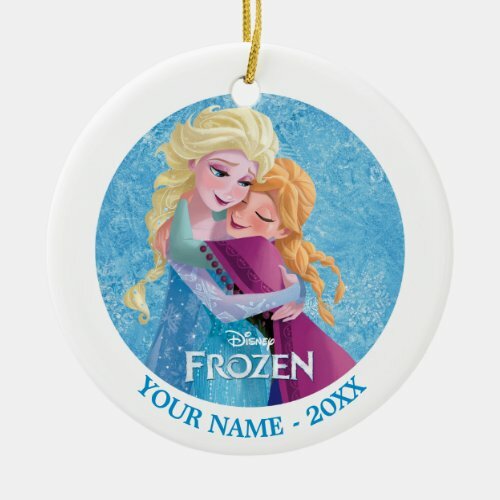 Can you imagine the delight of your Frozen fan when she sees these ornaments on her Christmas tree? 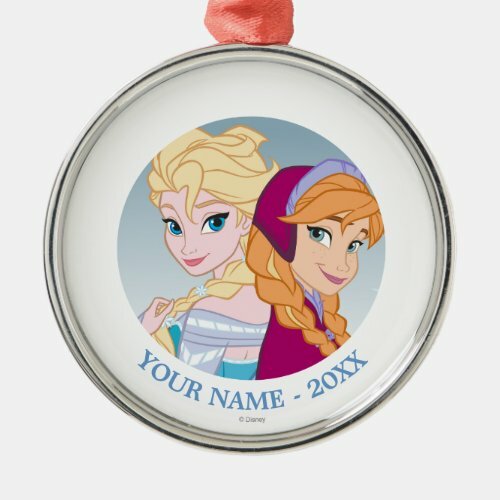 These are great gifts for those who collect the Disney princesses or for those who are Frozen fans. 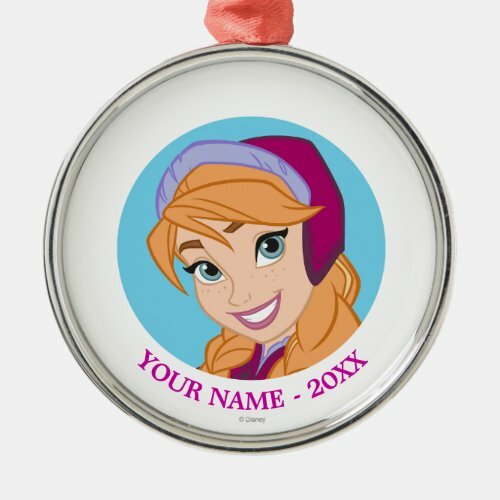 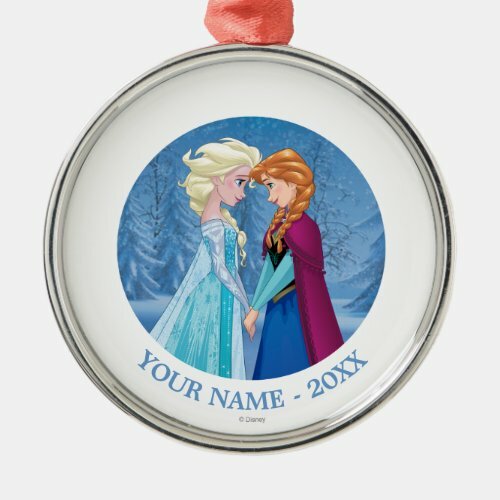 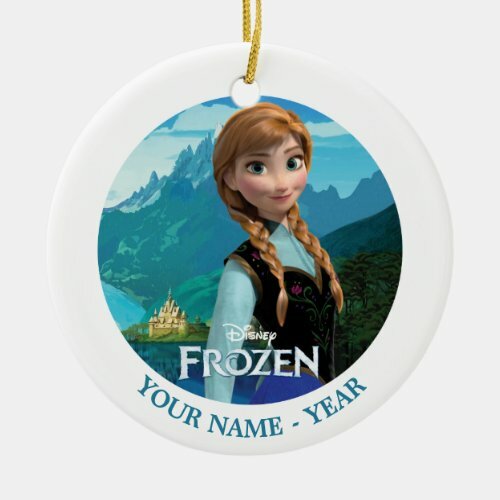 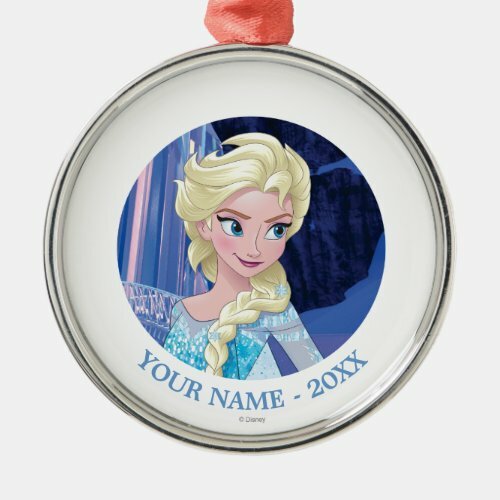 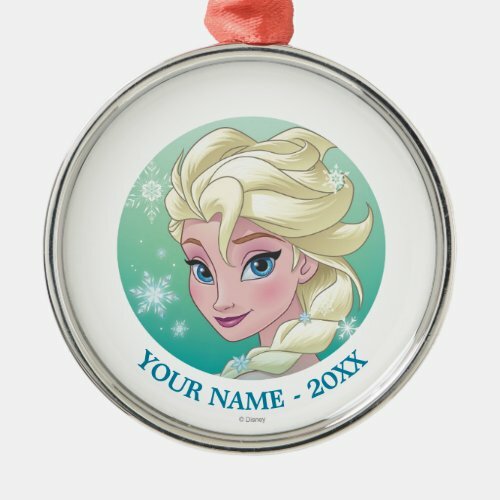 You can customize the Frozen ornaments with a name, date, or anything else you would like. 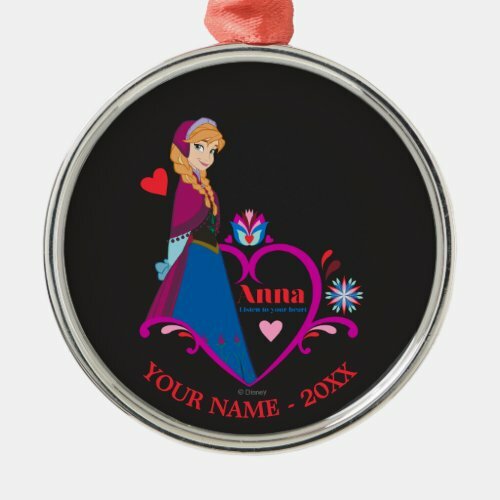 There are different font styles available for you to choose from. 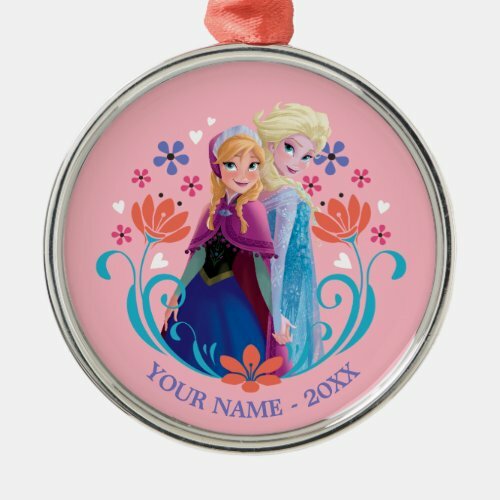 These premium ornaments from Zazzle are elegantly fashioned from metal and tied with a lovely red ribbon for easy display. 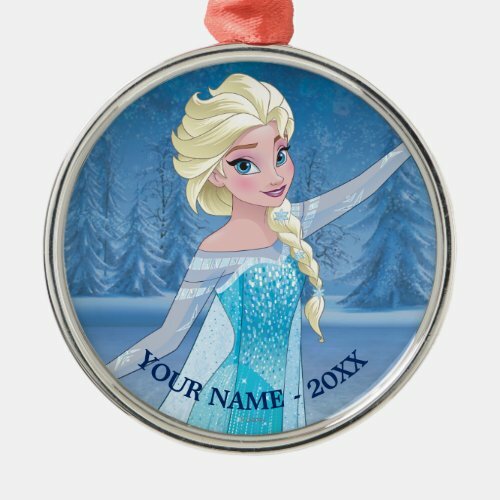 They are UV Resistant and waterproof and may be personalized or customized. 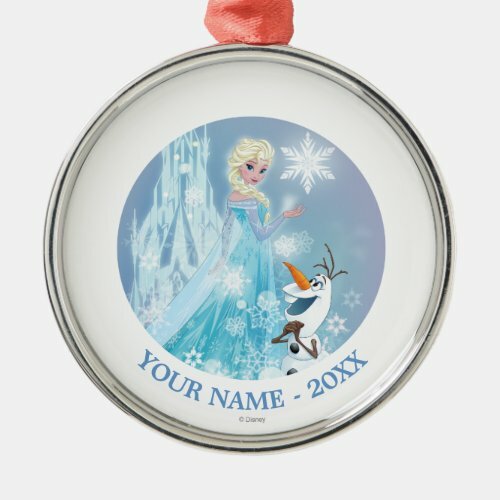 Pick up some glittery white snowflakes or some blue pine cone ornaments found at the bottom of this page to complete your Frozen themed tree. 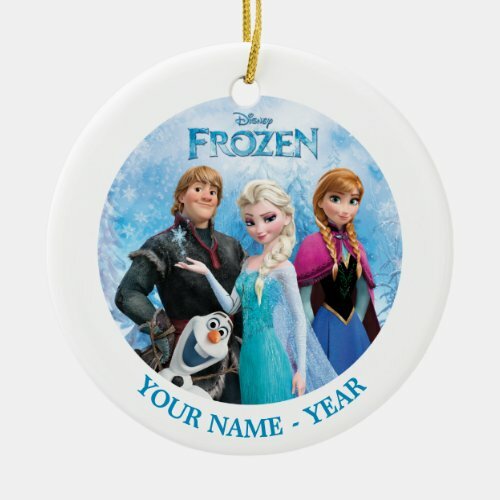 Here are more premium ornaments from Zazzle featuring the cast of the Disney Frozen movie. 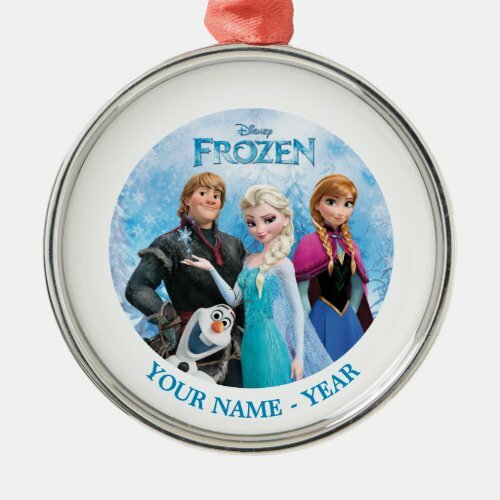 Here are Anna, Olaf, and Kristoff, as well as Elsa. 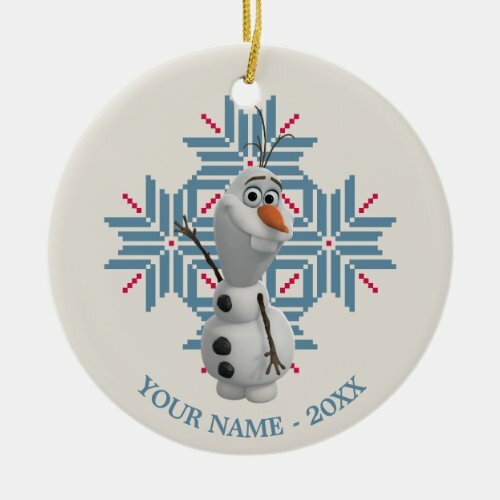 Choose your favorite character or get several if you can’t decide! 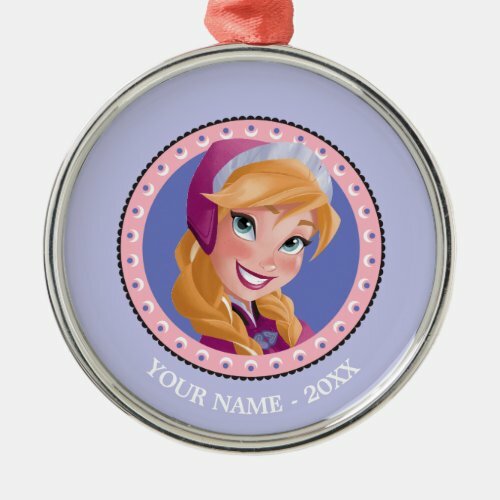 There’s a group portrait of the cast as well as Anna alone. 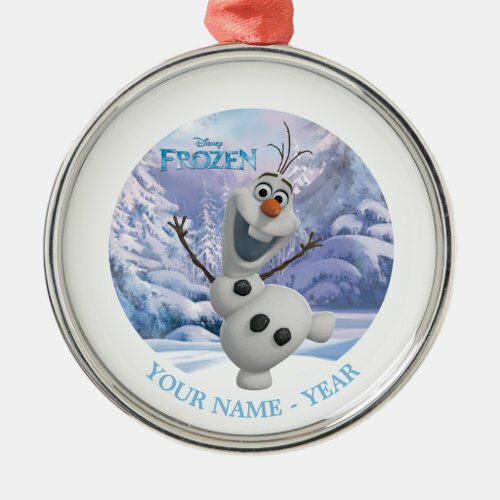 The ones with the two royal sisters are popular as are the ones with Olaf, the snowman who loves summer. 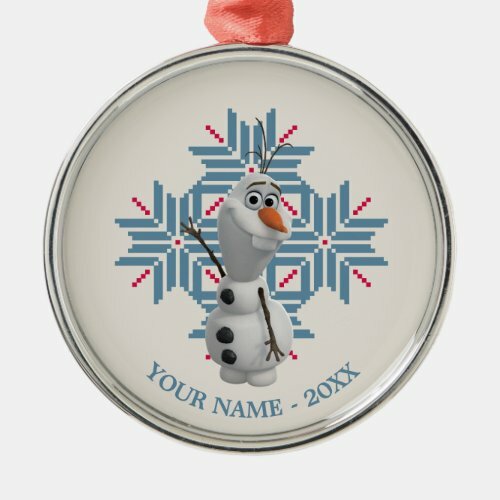 There are several different variations with some variations in colors as well, so everyone should be able to find a great Frozen ornament to love. 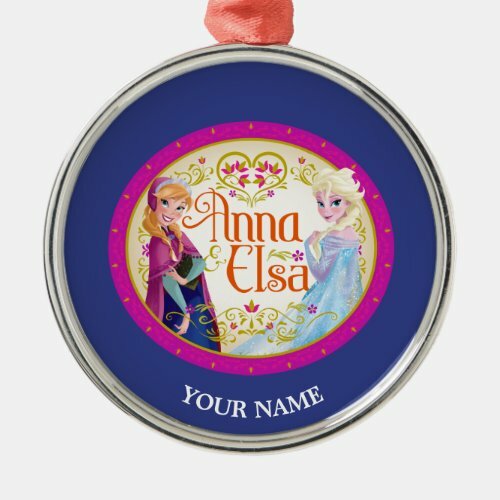 Work one of these ornaments into the bow on a Christmas gift package for a beautiful presentation and a delightful little bonus gift. 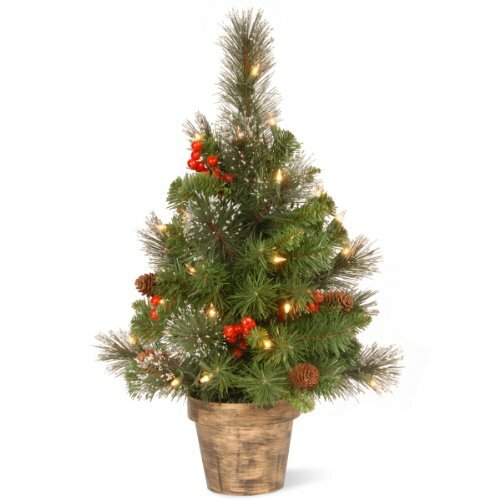 Pick up a small Christmas tree and do a dedicated Frozen tree or choose a few special ornaments and display them on an ornament stand. 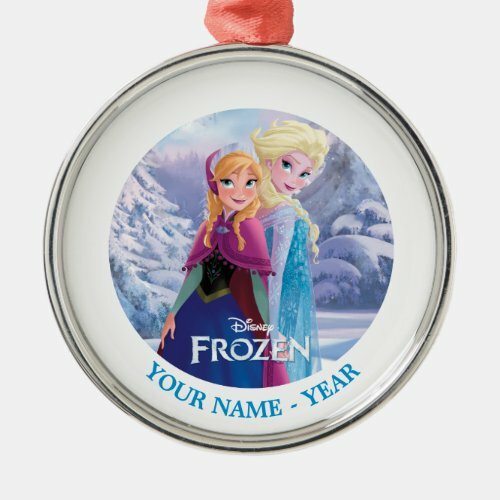 Like so many other Disney films, Frozen is adapted from a Hans Christian Anderson story, in this case, The Snow Queen. 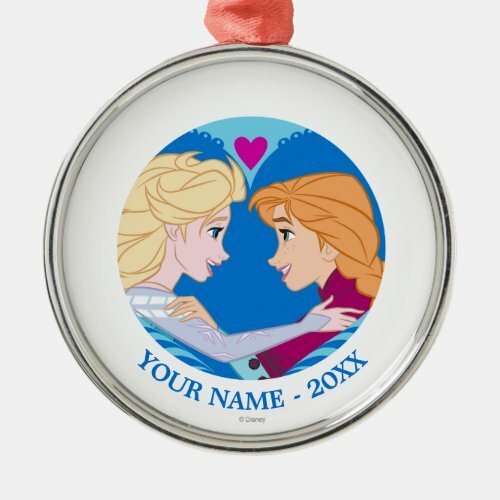 Disney has a way of making these stories fun and appealing to a wide audience of children and even adults as well. 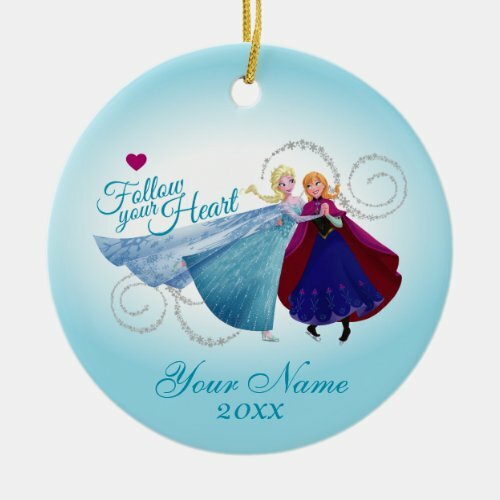 These ornaments are from Zazzle, a great print-on-demand company. 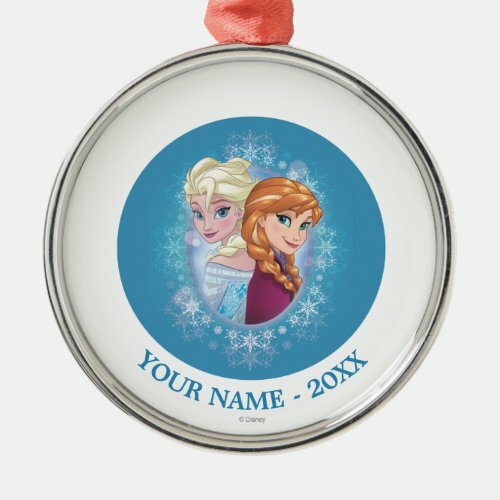 You can order from Zazzle with confidence because “We promise 100% satisfaction. 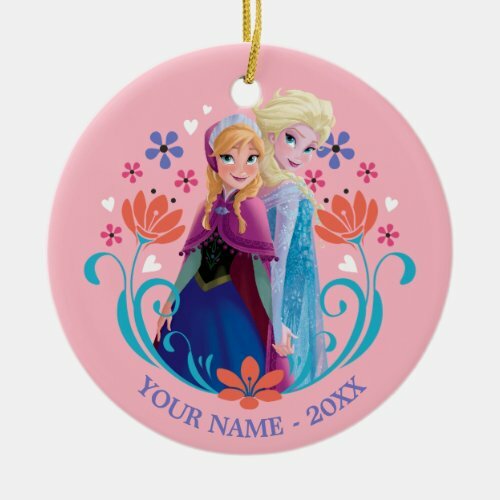 If you don’t absolutely love it, we’ll take it back!” I’ve ordered several things from Zazzle and have always been very pleased with their quality and their service. 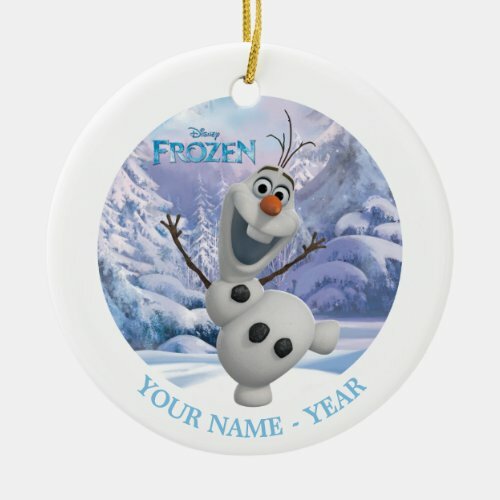 If you decide to decorate a tree dedicated to a Frozen theme, snowflake ornaments are the perfect thing to mix in. 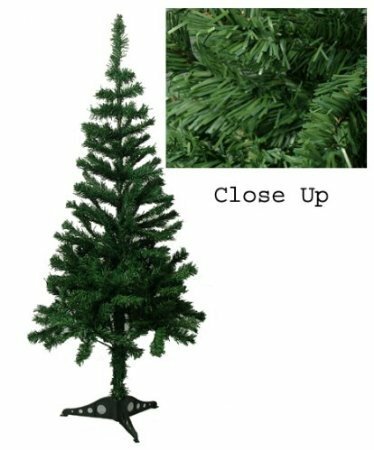 There are other great decorating suggestions further down the page. 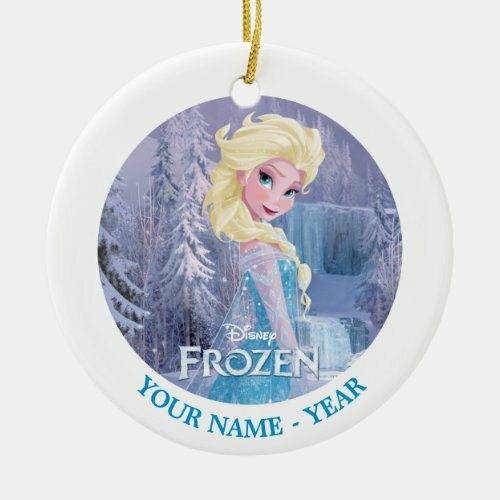 There are lots of great decorations you could use for a Frozen themed Christmas tree, including beautiful blue garlands, blue candy canes, icicle ornaments, and pine cones. 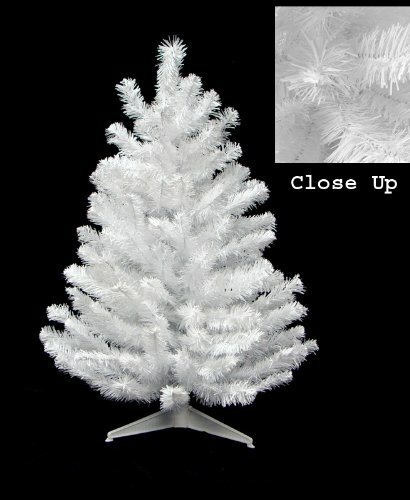 Give your Frozen tree a glittering tree skirt and top it off with a lovely snowflake tree topper. 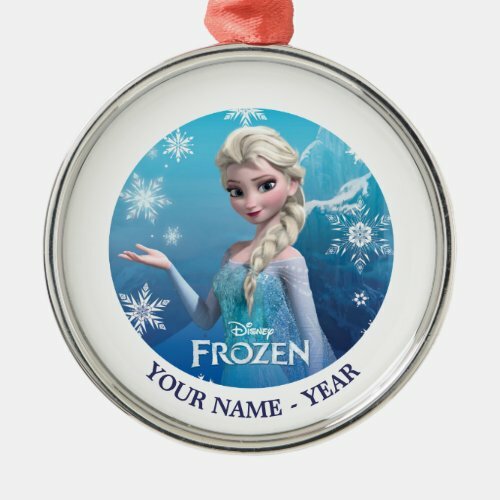 All of these items will provide a beautiful complement to your Disney Frozen Christmas tree ornaments. 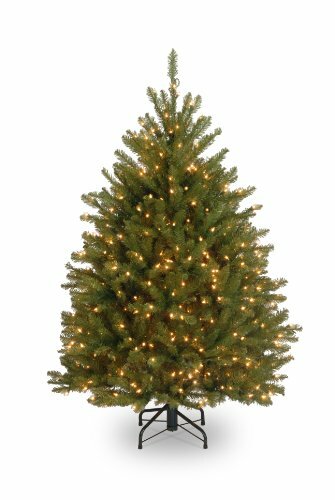 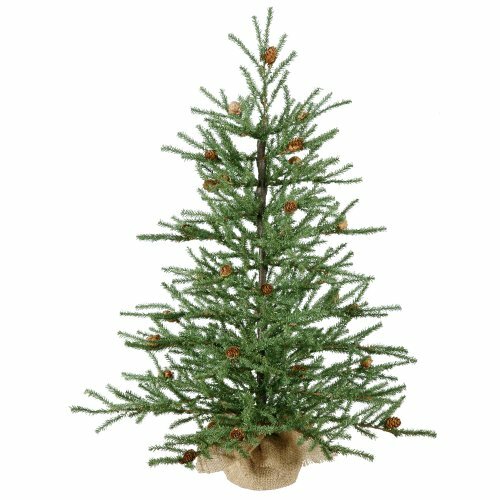 Beautiful small Christmas trees for displaying your special collections of ornaments. 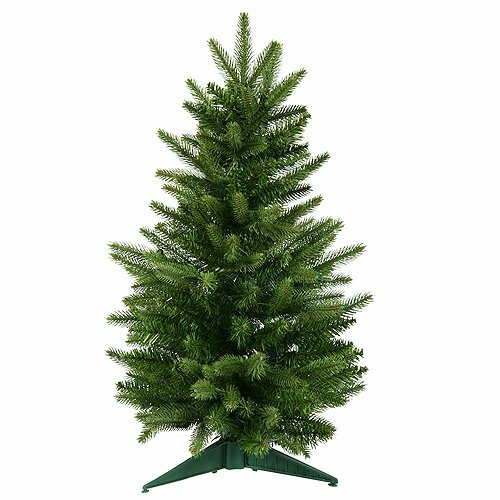 These trees can be put on a table in any room of the house. 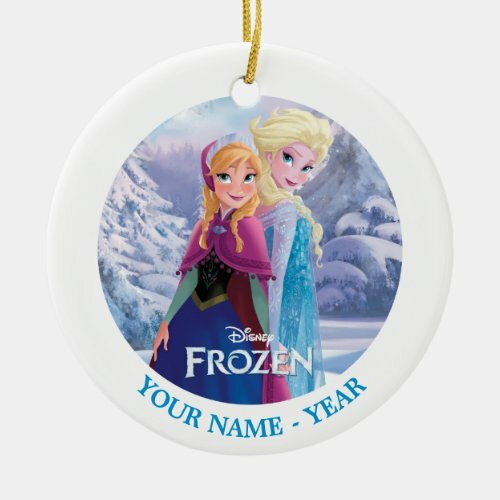 Small trees would be charming Christmas decor for displaying your Disney Frozen Christmas tree ornaments.